Sign up for Spring Story Times begins on March 17 and ends on March 31. More details can be found at www.bridgewaterpubliclibrary.org, and then click on Children’s Room. Story Times are offered in 6 week sessions. These sessions are offered in the Fall, Winter and Spring. 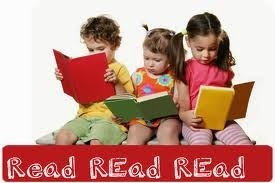 Please call the Children's Room at 508-697-3331 if your child will be absent for any reason. If your child is absent twice without the Children's Room being notified we will assume you are withdrawing from the session and your child's slot will be offered to someone on the waiting list.